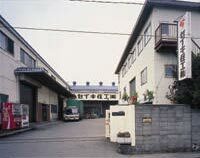 SEIKI group Outline | SEIKI KOGYO CO.,LTD, SEIKI HANBAI CO.,LTD, SEIKI JYUKO CO.,LTD, SEIKI UNYU CO.,LTD, SEIKI SOGYO CO.,LTD. SEIKI Group companies offer a variety of products to provide a comfortable lifestyle. SEIKI group is developing a total service ranging from product planning and development to production, sales, and logistics. The five group companies cooperate with each other while making use of their individual characteristics. This comprehensive cooperation makes the group stronger than any one single company. Multi-product manufacturer creating products with superb originality in the plastic molding industry. 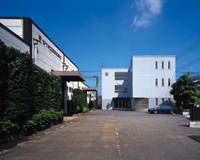 SEIKI KOGYO, a manufacturer specialzing in extruding synthetic resins, produces a wide range of products, ranging from large products such as automotive components and interior and exterior construction materials, to small and precision industrial products including stationery and IC cases. In addition, SEIKI KOGYO handles various kinds of raw materials, ranging from general-purpose resins to engineering resins. We are always striving to research materials and to develop technologies and products to create a better living environment. We develop the best products in a timely manner and apply thorough quality control from product planning to delivery. 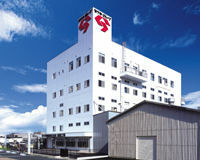 A planning company responsible for sales of the SEIKI brand. SEIKI HANBAI was established to sell SEIKI brand products, and is widely expanding sales operations in the housing construction material and DIY fields throughout the country. Other important efforts include marketing activities for timely determination of market needs and planning and development of new products. In other words, SEIKI HANBAI plays the role of an antenna for the entire SEIKI group. We will continue proposing new businesses with innovative ideas, rapidly responding to future trends. Our strength lies in planning and developing products based on unique ideas, and have many patented products. This is a key advantage that competitors do not possess. Particularly in the screen industry, we actively produce OEM products as well as undertake the sales of our own brand products while taking advantage of our competitive edge. Provides high quality housing related products supporting the SEIKI brand image. SEIKI JYUKO promotes automation out of consideration for safety and productivity. Our strict quality control provides customers with safe products in a timely manner. A total logistics service company providing a complete logistics system. SEIKI UNYU plays a logistics role in the group, providing services to customers throughout the country with reduced logistics cost and timely delivery. 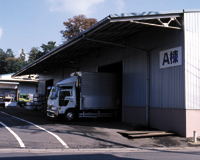 In addition, SEIKI UNYU handles goods other than those of the group, and is highly rated as a general logistics company. By establishing a complete logistics system including packaging, storage, processing and transport, we respond to a wide range of customer needs to provide a higher value-added service as a total logistics company. Total marketing company aiming at the creation of a safe and comfortable lifestyle. SEIKI SOGYO is always developing new business fields and promoting marketing, product development, and sales. Our activities are not limited to Japan, but also expanding to trading businesses such as exporting our group products overseas or importing commodities from abroad. Developing "world wide standard" products that are "best suited for world wide use" and market development are also part of our role in the group.